Immerse yourself in glorious sunshine over the Thanksgiving week with a 10% discount on the regular rate, cruising the Bahamas or Florida. 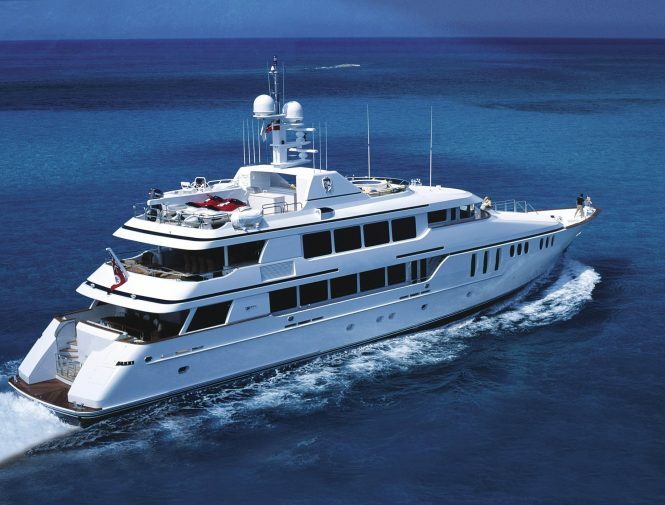 Gather 11 of your favourite family and friends for an unforgettable charter aboard the 45m, Trinity motor yacht CLAIRE. 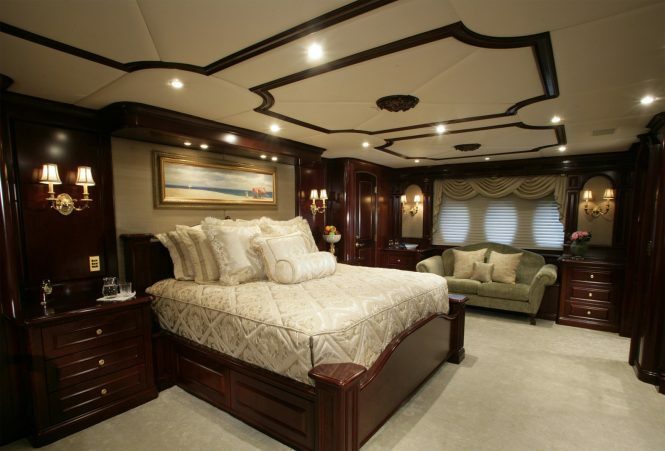 Launched in 2003 and having been refitted in 2018, she has in-house exterior styling and interiors by Claudette Bonville. 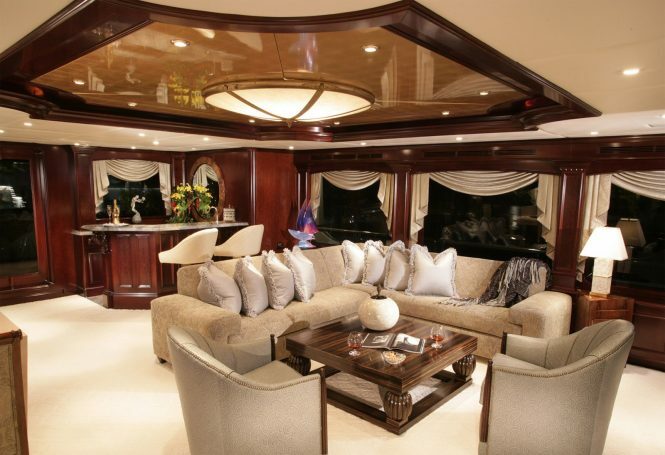 The yachts interiors are refined and elegant, pairing neutral fabrics, with timeless beautiful woods and fine marbles. Social living is spread over 2 inside areas, comprising the main salon offering a plush lounge and massaging recliner chairs. The sky lounge is equally as impressive, with a generous seating arrangement, games table and wet bar. 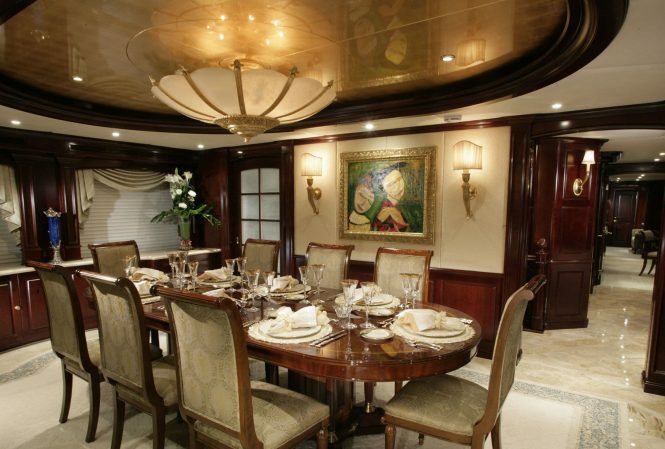 Forward on the main deck is the master stateroom, while the lower deck boasts the VIP, 2 double and a twin cabin. 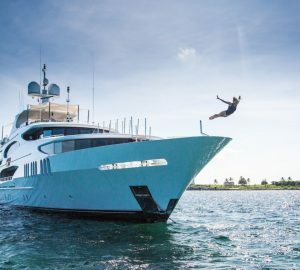 M/Y CLAIRE’s exterior lifestyle is well-appointed over 3 levels and flows with ease between the interior spaces, making her the ideal choice for luxury charters in the Floridian and Bahamian waters. Adjacent to the salon is a shaded aft deck with a versatile table, which can either split into 2 tables or drop down to become an enormous day bed. Steps lead from the deck to the swim platform, where guests are offered an array of the latest water toy fun. An upper deck on the Trinity yacht features an outdoor lounge and alfresco dining, as well as access to the sky-lounge. Further forward is a cosy Portuguese bow. 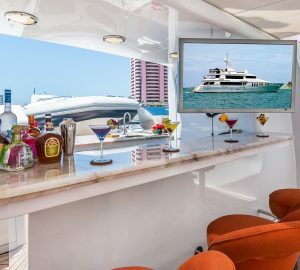 Her sundeck really delivers on entertaining in style, complete with a wet bar, audio/visual amenities, a large sun pad surrounding a jacuzzi and chaise loungers. Twin CAT engines cruise at 18 knots and provide top speeds of 21.5 knots, she is fitted with zero speed stabilizers which assist to reduce motion. Please contact CharterWorld - the luxury yacht charter specialist - for more on superyacht news item "10% Off Bahamas and Florida crewed yacht charters aboard 45m CLAIRE".